WooThemes has launched an iPhone app, called Express, for their tumbleblog themes. It makes it easy to post Tumblr-style to your WordPress blog. I like this idea. It would be great if you could continue to use the normal post type, but add in some mixed media with the tumbleblog plugin (for links and the occasional podcast). A few weeks ago, WooThemes introduced their WooNav widget-based navigation manager. 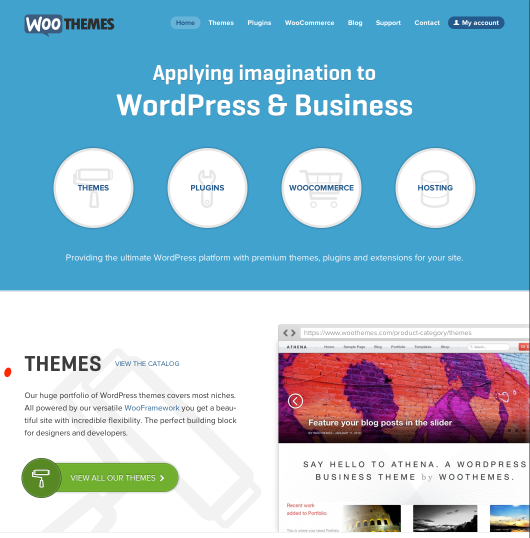 In an unexpected turn of events, the theme developer has allowed it to be incorporated into the next major WordPress release, version 3.0. WooThemes Introduces “Canvas,” a Thesis Competitor? WooThemes has released a new theme called Canvas, a theme that looks like it might be a competitor to the ever-popular Thesis. Canvas is a “blank slate” theme, with minimal styling, that you customize by either creating a child theme and using hooks, or by editing colors, background images, etc. through an admin menu. So it’s kind of a blend of Thesis and frameworks like Thematic, Hybrid, and Carrington.